Yesterday I spent the day trawling through old photographs, trying to rescue them from old albums that have seen better days. 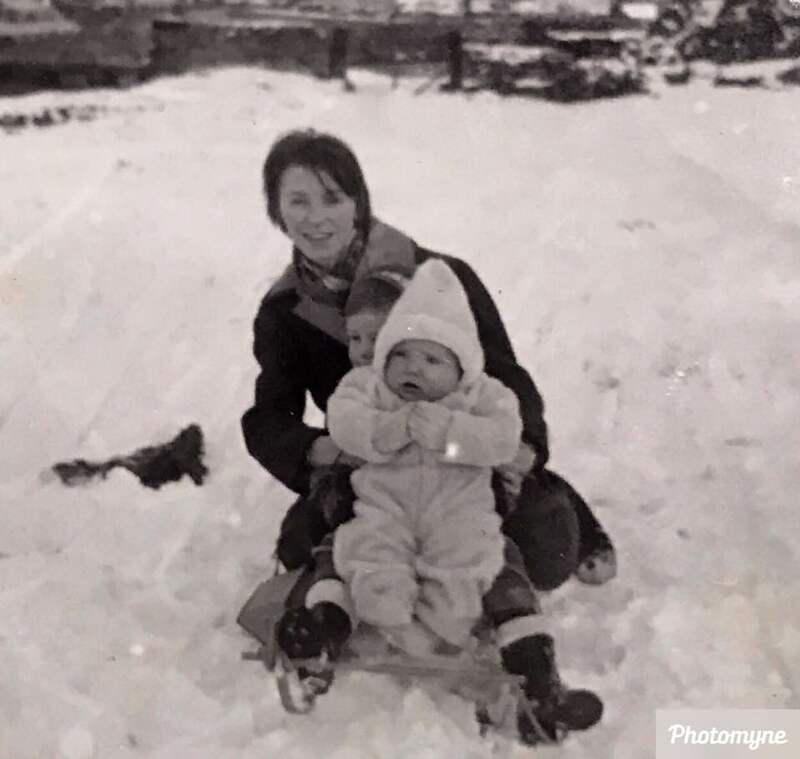 I came across this one of me and my brother and mum sledging in the snow, such happy childhood memories. I now it isn't terribly clear but it was taken nearly 50 years ago, how things have progressed. I love going through old photos. This is adorable, shame you don't see so many people doing this kinda think when it snows nowadays! A photo to treasure, such happy times.